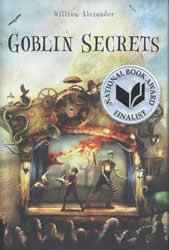 GOBLIN SECRETS is a 2012 National Book Award Finalist! Congrats to William Alexander whose debut middle grade novel GOBLIN SECRETS is nominated for a 2012 National Book Award! Click here for more information about all the 2012 nominees and their books.